This year's pie-baking champ was Jim Ratway of Woodstock. Jim also claimed first in the "other" category for his peach/blueberry entry. He was followed, in order of finish, by Flora Breslich (Hampshire) and Jean Turner (Huntley). Turner claimed first among applie pie entries, for her Topsy-Turvey offering. Jesse Garcia (Union) placed second. 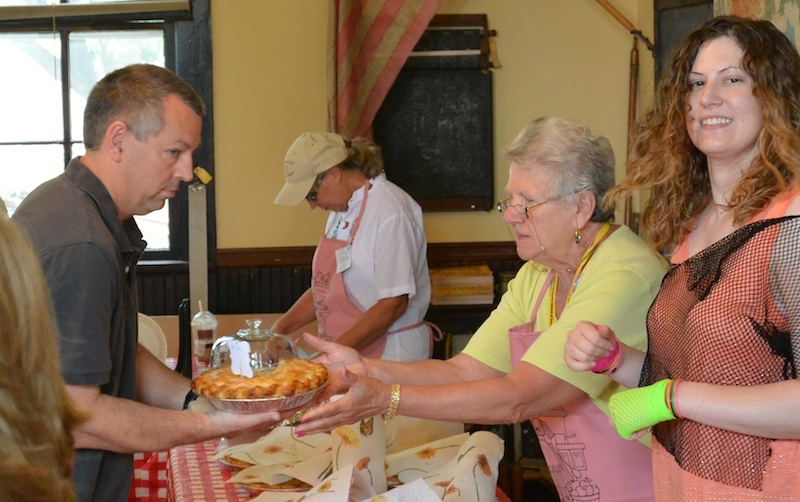 Finally, among berry pies Jean Hunt of Huntley took first with her raspberry pie. Arlene Lynes (Woodstock) claimed second and Kevin Schultz (Union) finished third. Thanks to all the participants. The 14 pies entered were sliced and sold to raise money for the Society.